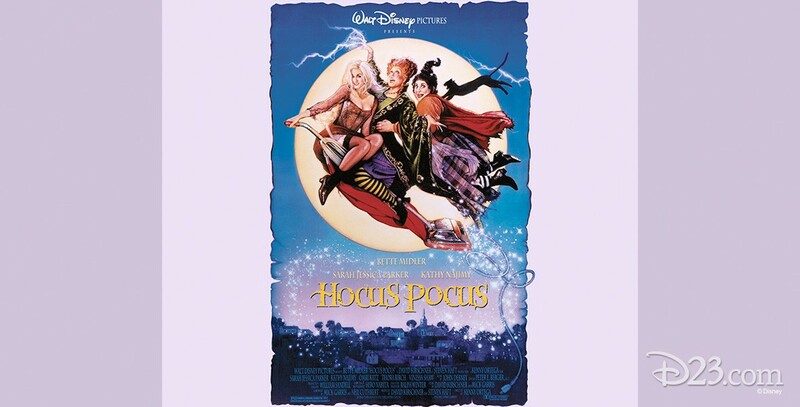 Hocus Pocus (film) Accidentally brought back to life in Salem on Halloween night, three witches, known as the Sanderson sisters, attempt to steal the life essence from the town’s children so they can have eternal life. They are outwitted by a boy, Max Dennison, his young sister, Dani, and his girlfriend, Allison, and aided by a boy, Thackery Binx, who had been changed into a cat for trying to interfere with the witches centuries earlier. Released on July 16, 1993. Directed by Kenny Ortega. 96 min. Stars Bette Midler (Winifred), Sarah Jessica Parker (Sarah), Kathy Najimy (Mary), Omri Katz (Max), Thora Birch (Dani), Vinessa Shaw (Allison). The use of computer graphics technology enabled the cat to talk. The flying scenes were accomplished using wires on a soundstage at the Disney Studio. Besides the studio work, there was one week of location filming in Salem, Massachusetts. Released on video in 1994.